Get Discount on Redesigned AeroBox! All AeroBox models are currently OUT OF STOCK. We are working on a redesigned version of the AeroBox, and during that process we sold out of the first generation boxes. Click on the link below to find out how to receive 10% off the new and improved AeroBox along with a brief description of the improvements we are making to the design. 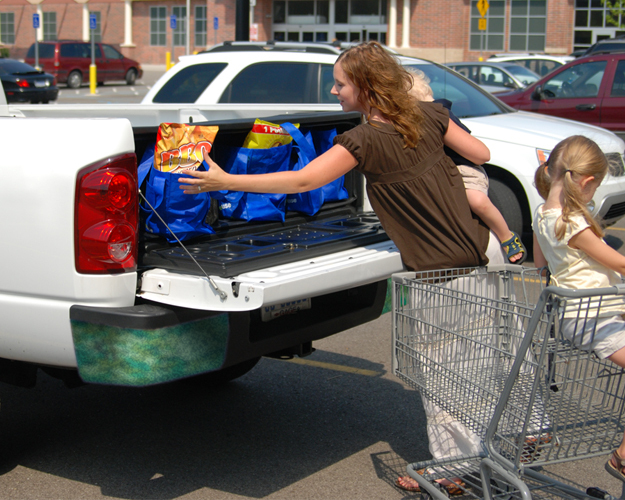 Secure and access truck bed cargo easier than ever . 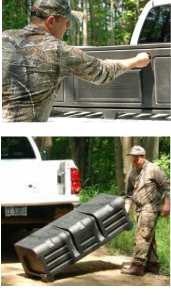 . . like a trunk for your truck! 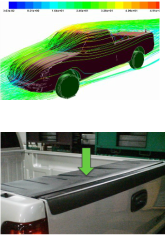 Innovative rear mounted design provides logical alternative to difficult to reach truck bed boxes. Fits full-size pickup trucks. Outside dimensions: 58.5" X 19" X 19"
Inside dimensions (min. un-encroached space): 55" X 16.5" X 13.5"
Door opening: 54" X 13.25"
Discounted Delivery of Your AeroBox™! Please call customer service to obtain pricing for shipping international, Alaska, and Hawaii. 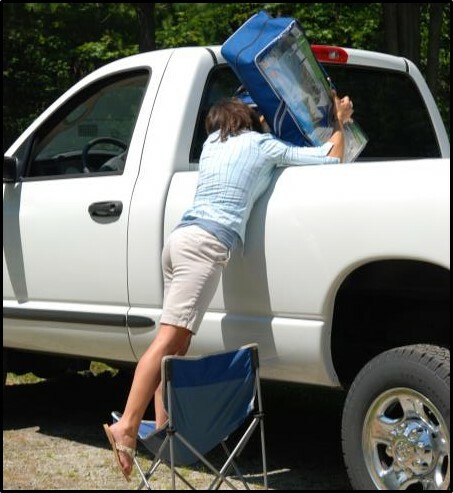 No more need to climb in or reach over pickup bed! Like a trunk for your truck! 11 cu. ft. of interior space fits lots of gear: tools/materials, sports/camp gear, shopping, tailgating, etc. - Please confirm minimal opening size of your truck’s bed before ordering. There must be a minimum 58.5 inch unobstructed opening for the AeroBox to slide between the rear vertical rails of the tailgate opening. - The AeroBox may not fit specialty truck beds or those with certain aftermarket modifications, such as bed extenders or plastic liners that do not conform to the truck's inner side walls. If in doubt, please call customer service 1-866-300-9606. - The current version of the AeroBox does not fit compact or mid-size trucks. - Premium hooked cam locks (2), providing excellent security. 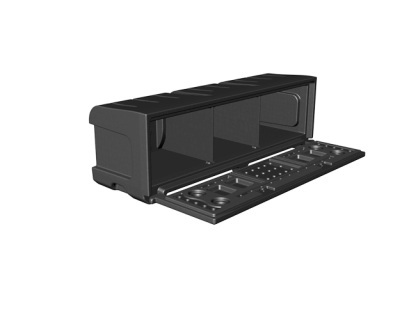 - Integrated features for keeping small parts, screws, etc. neatly contained and easily accessible. Integrated handle and wheels makes moving all your stuff to the job, activity, or garage easy . . . like a cargo box on a dolly! 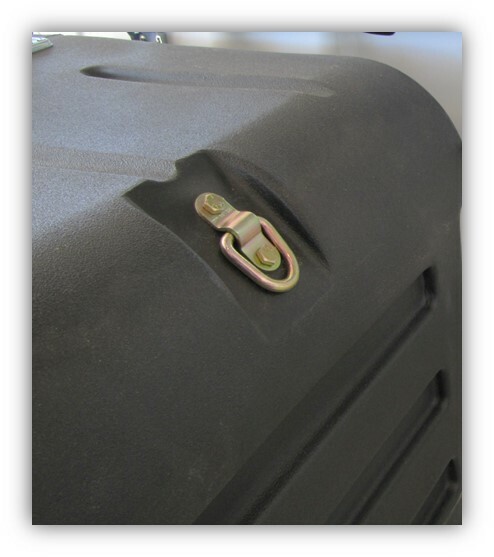 Seamless rotational molded LLDPE construction (same as for water tanks, kayaks, coolers) and high quality bulb seal around main door keep the elements away from your cargo. Integrated features for securing bicycles, ladders, pipes, etc. and to keep them from sliding around and off your tailgate. Please refer to ﻿installation instructions﻿ for the Standard Assembly for further information regarding how the AeroBox will work for your particular configuration. Please note: There must be at least 62 inches of truck bed width (inner sheet metal) for at least 17 inches forward of the rear post stake/tail gate opening rails for the side panels to fit. This is the case for almost all full size pickup beds. 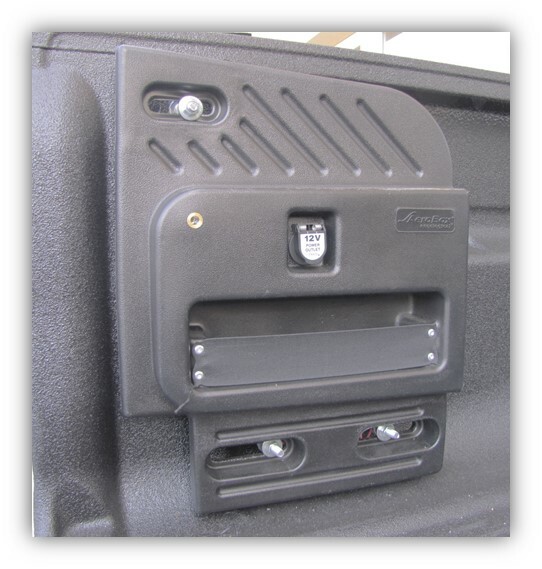 However, some aftermarket products such as drop in liners, bed extenders and/or integrated OEM accessories, such as the RAM box may interfere. Please refer to the installation instructions and/or video for the Premium AeroBox assembly for further information regarding how the AeroBox will work for your particular configuration. If in doubt, please call eCOOLogical customer service at 1-866-300-9606. 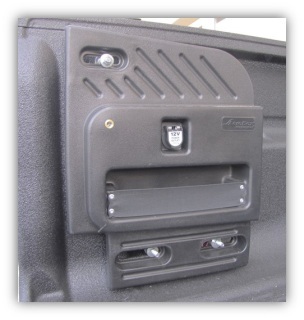 The 12 Volt Power Outlet with knock-out seal plug are also available from eCOOLogical to add access to power on your driver side dock-n-lock side panel at the back of the truck.